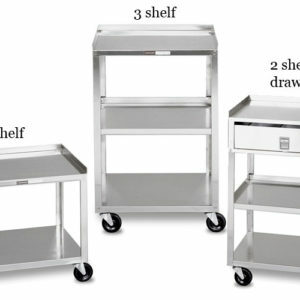 Cart configuration is 3 shelves. There is 12″ (30.48 cm) clearance between shelves. 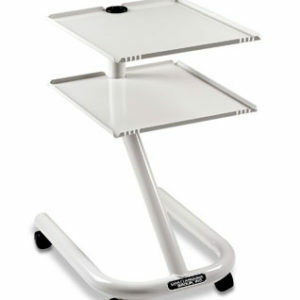 The 23” x 18” (58 cm x 46 cm) shelf surface is non-slip. Standard swivel casters (two with locking brakes). 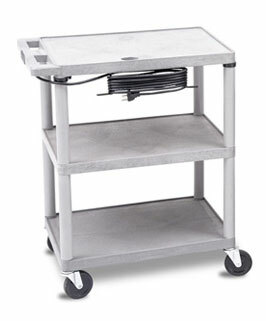 Power up your cart with optional electrical assembly. 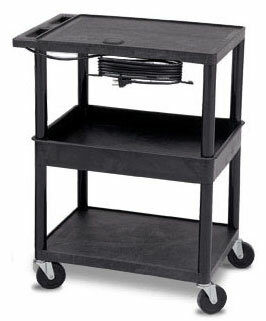 It includes three power outlets, a UL list 15’ (5 m) cord, cord wrap and cable management system.